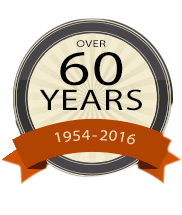 Brentwood Electrical Contractors has been lighting the Westside for more than 60 years. Our combined expertise and knowledge has helped Los Angeles area residents with everything from electrical repairs to new installations. We are proud to be leaders in our community, from Pacific Palisades, Westwood, and West Los Angeles, to Beverly Hills, Santa Monica, and the surrounding areas. Our Los Angeles electrical contractors have the expertise to skillfully handle your indoor or outdoor lighting projects, fix your problems, improve your property, and build new, state-of-the-art designs from the ground up. Whatever your electrical contracting needs, we lead the industry in experience, creativity, and dependability! Make our company your first choice for all your Los Angeles electrical needs. How Can Brentwood Electrical Contractors Help You? Don’t Wait for the Service You Need! Our electricians arrive when you need us to meet your busy schedule, guaranteed! Whatever your needs, Brentwood Electrical Contractors is your top choice for electricians in Los Angeles. We been servicing the Westside for over six decades and we have the skills, insights, and knowledge to complete any electrical job from start to finish. More importantly, we keep your needs in mind, arriving when we promise and making sure the job is done right, every time. We know everything from the right light source or electrical outlets for your room to the local electrical code to keep your property up to standard. We can even educate you on the different types of lighting that you can use to make your home shine. 2129 Pontius Ave Los Angeles, CA 90025 Phone: 310.935.0674 After Hours Emergency Services: 310.879.5544 Service Area: We proudly serve Pacific Palisades, West-wood, West Los Angeles, Beverly Hills, Santa Monica and surrounding areas. Brentwood Electrical Contractors stands behind its work with comprehensive customer service. Precise scheduling techniques assure customers that Brentwood Electrical will arrive on time and be ready to commit all available resources to the job.